Two cookie posts in a row? I know. It's crazy. 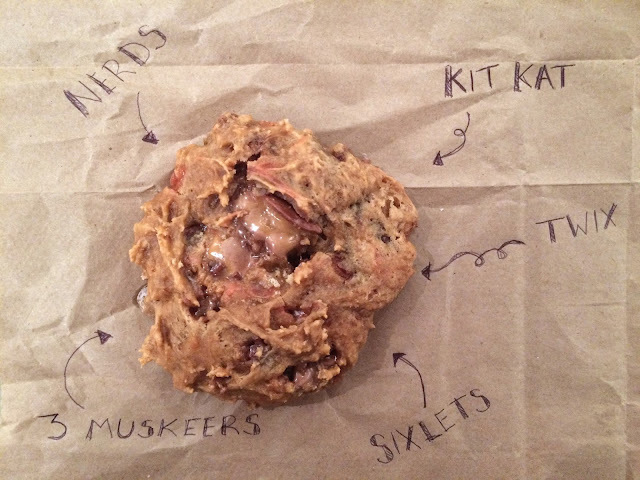 But can you ever really have too many cookie recipes in your life? The best part about this new recipe is that it solves two dilemmas that are super pressing in my life (and I'm guessing in yours too). Dilemma 1: Too much leftover Halloween candy! Happy Halloween! 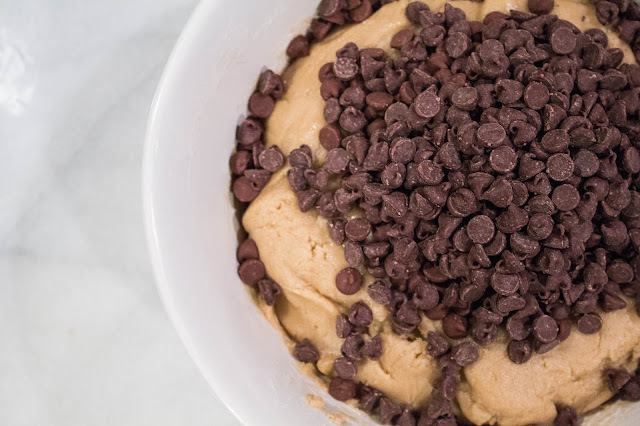 It's inevitable that you'll have some leftover candy and, while this isn't exactly a dilemma, baking your extra candy into a cookie is way more exciting than just leaving it in a bowl in your kitchen. This is an actual dilemma. 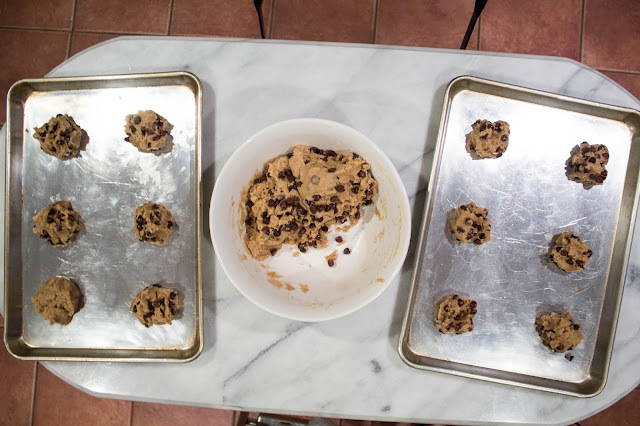 While I live to bake, sometimes a dozen cookies is just way too much. I wanted to create a recipe that was quick, easy and only made a few cookies. They're basically for those nights when you're craving a cookie, but not looking to have a ton left over to tempt you all week! I decided to use PB2 as the base for this cookie because 1. there are few combinations better than chocolate and peanut butter and 2. I thought if I'm adding all this candy in, I should probably use a fat healthier than butter. Side Note: You can find my first PB2 cookie recipe here! I ended up making these at my friends' apartment and 4 was the absolute perfect amount. You'll for sure want to try these cookies while they're still warm. We actually ate them so fast that I barely remembered to take a picture!--The one above was our forth and final cookie. This recipe ended up being exactly what I wanted. 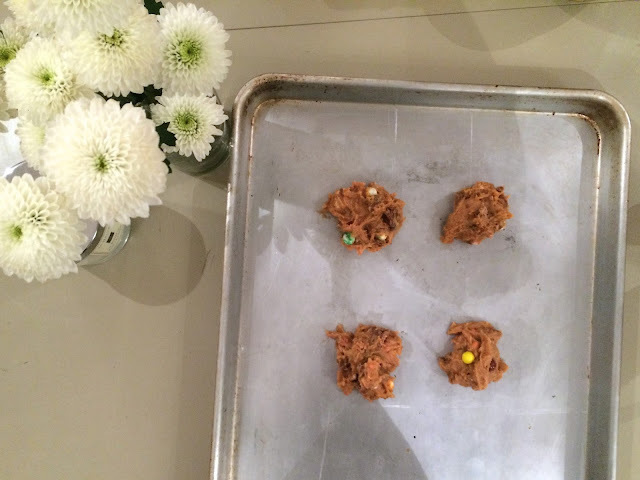 The cookies are incredibly chewy and gooey, while totally satisfying my sugar craving without being overly sweet! Plus, I can think of no better use for all of that extra candy! 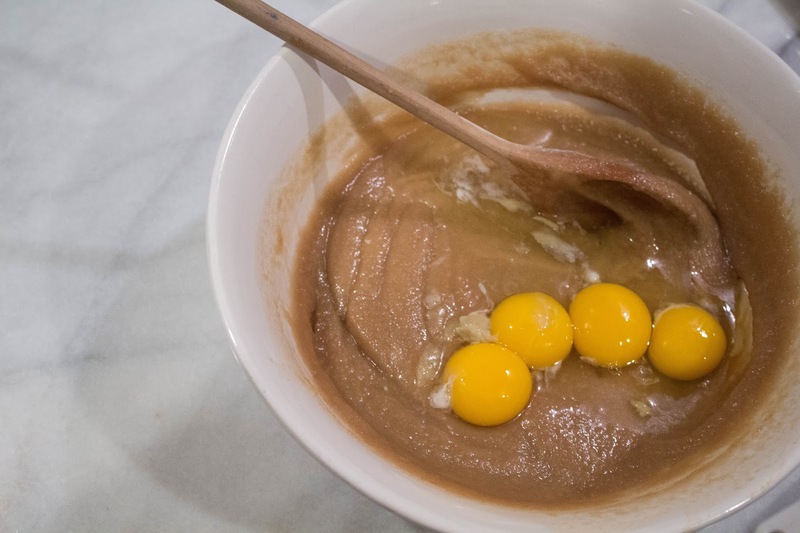 6 tbsp PB2 3 tbsp sugar 3 tbsp water 1/4 egg Dash of salt Dash of vanilla extract Dash of baking soda 3 tbsp flour Your favorite Halloween candy finally chopped! Side Note: It is important to note that PB2 does have a distinct less sugary taste, when compared with regular peanut butter. If you'd rather use regular, I would use 4 tablespoons of peanut butter and completely omit the water! Preheat the oven to 350 F In a small bowl combine PB2 and sugar with water until creamy. 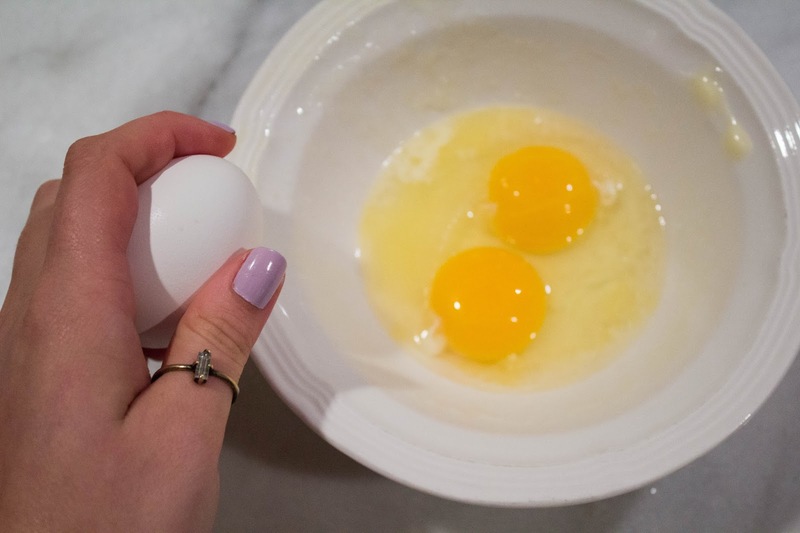 Crack egg into another small bowl and beat well. Add 1/4 of egg to the first bowl (your best estimate will be fine!) and mix to combine. Add salt, vanilla, baking soda and flour. Mix until combined. 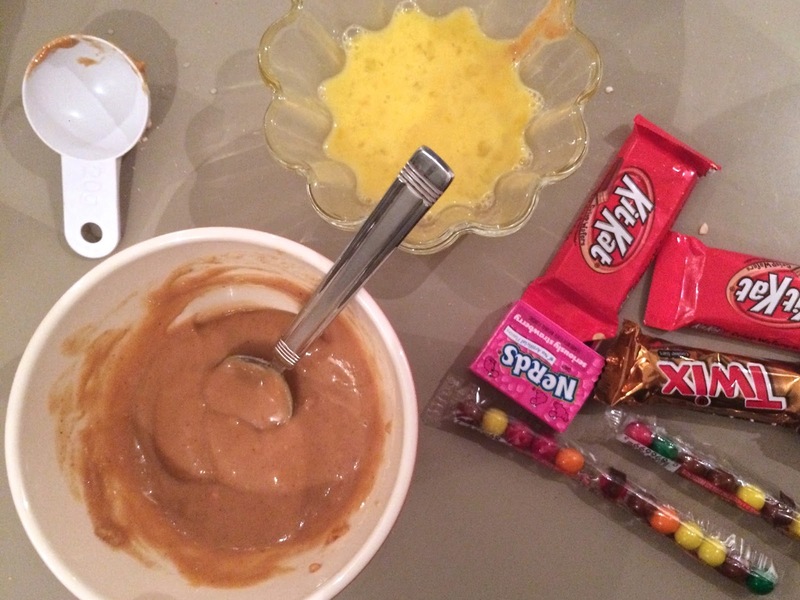 Finally mix in all of your chopped Halloween candy faves! 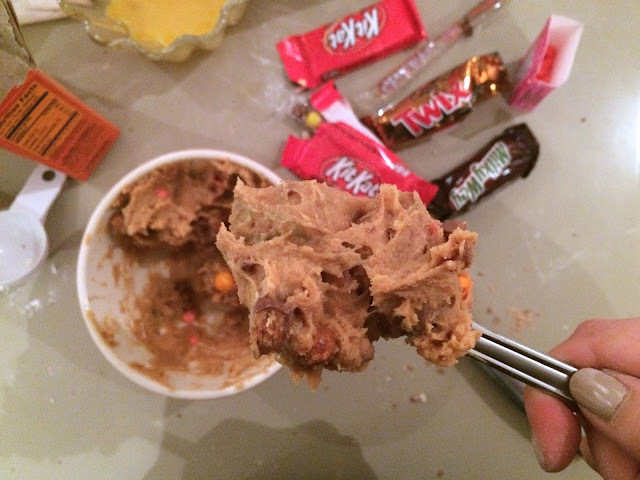 Tip: Be careful when using candy containing caramel, as the caramel will melt. 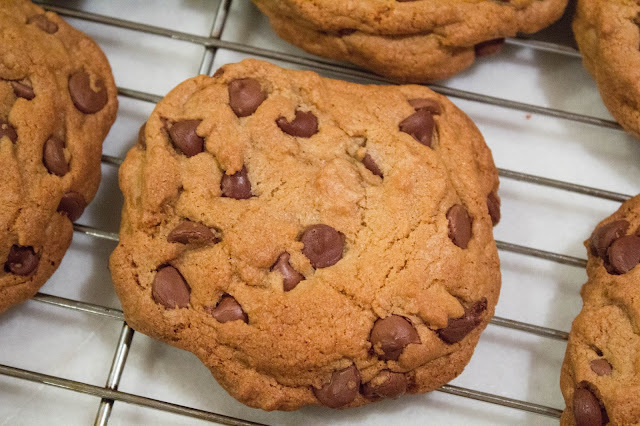 If you choose to include it, it will be absolutely delicious, but just make sure it's towards the center of each cookie! 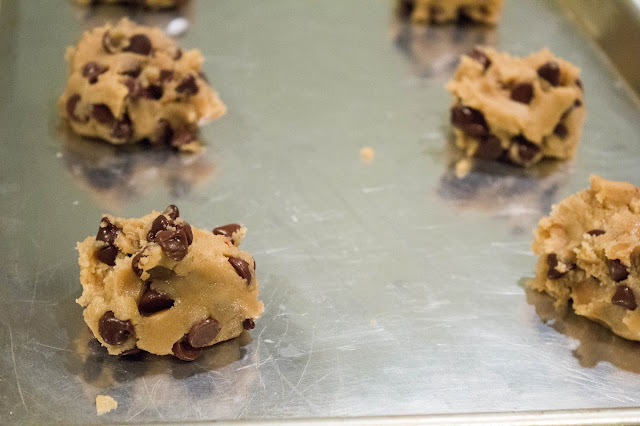 Divide dough into 4 rough rounded sections, and drop onto an ungreased baking sheet. Bake for 17-20 minutes. 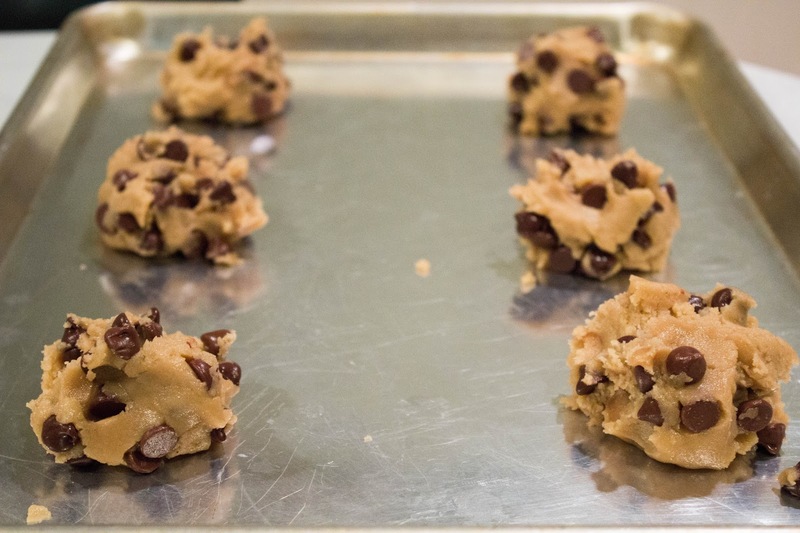 Remove from oven and allow to cool for 10 minutes on baking sheet before transferring to a cooling rack. 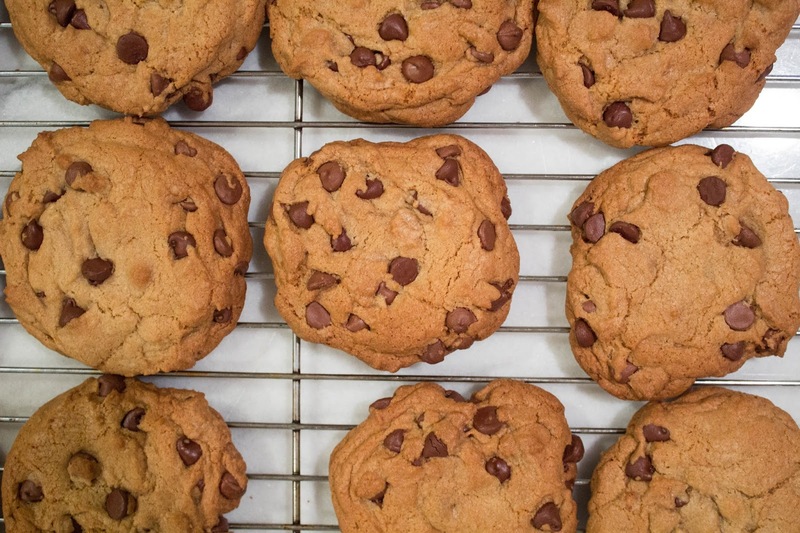 Let's talk about chocolate chip cookies. Although there are millions of recipes for this classic crowd pleaser, I can say with 100% certainty that there is only one recipe I will use for the rest of my life. Everything about this recipe is beyond incredible from the fact that they're the size of small planets to the perfect chocolate chip to dough ratio. Sadly, this is not a recipe I created and strangely it comes from an unlikely source, but I promise that if you try it you'll never want to return to that break and bake life! So I've been making these cookies for 10 years now and it started when my mom came into my room to tell me that she was watching a segment on ABC news, where Teri Hatcher made chocolate chip cookies for Diane Sawyer that looked amazing. What's funny is, if this happened now, I think I would be more than a little skeptical at a recipe created by the Desperate Housewife who was famous on the show for her terrible cooking. Thankfully, my 12 year old self was not the least bit skeptical and excitedly printed out the recipe and got to work. The rest, of course, is history. Today they are my go to for everything! Also fun fact: people like you more when you bring cookies. No joke. It's hard to go wrong when a recipe starts with sugar and melted butter. 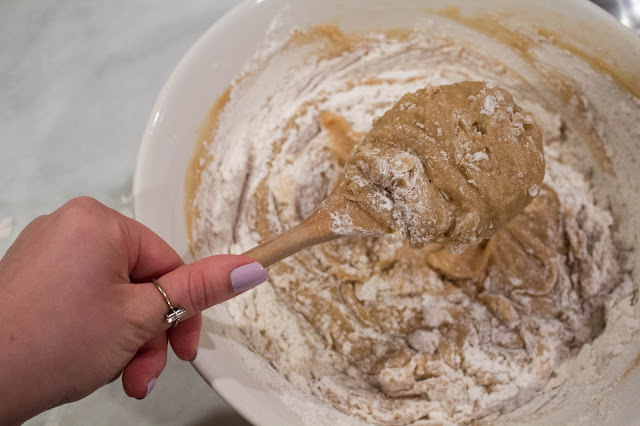 Mixing in the flour is the hardest part, but trust me when I tell you that this recipe is beyond easy! 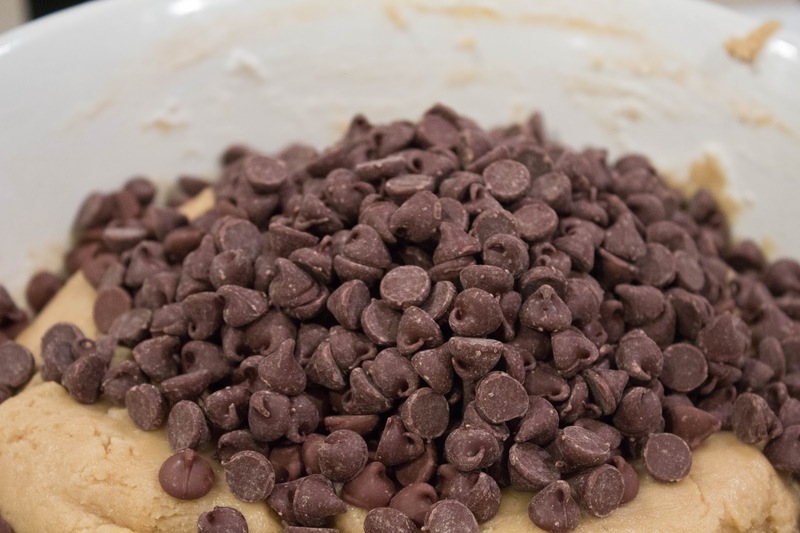 This recipe calls for an obscene amount of chocolate chips. Side Note: Can you spy the chocolate chip-less cookie? While I consider it somewhat blasphemous to leave the chocolate chips out, I promise the cookie will still be amazing! Meaning you could definitely still impress the chocolate-hater in your life. You can't tell, but these are ice cream scoop size!!! Ahhh warm, fresh from the oven perfection. If it isn't clear yet, I swear by these cookies. Get the recipe here and never look back!